The Anglican Province of Burundi consists of the dioceses of Muyinga, Buye, Gitega, Matana, Makamba, Bujumbura and Rumonge. 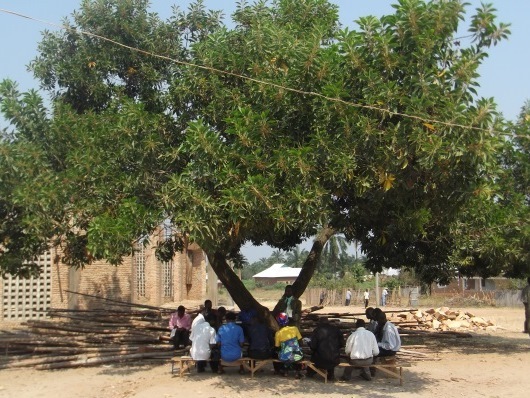 Rooted in Jesus was first introduced to Burundi in 2011, where iit is used in the Kirundi language. 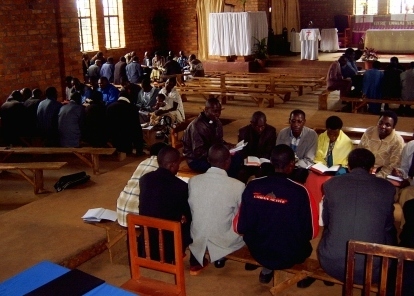 In May 2011 the Diocese of Muyinga hosted two introductory conferences. These took place in the cathedral of Muyinga, and participants were invited from the neighbouring dioceses of Buye and Gitega as well as from Muyinga itself. 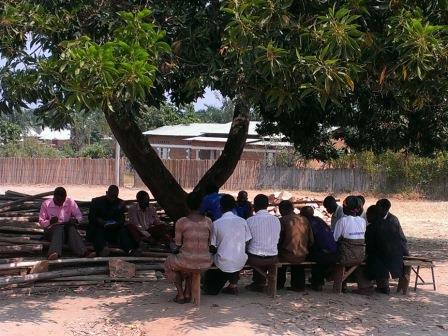 A followup conference was held in April 2012 for 43 leaders, of whom 30 had attended in 2011 and 13 were being trained for the first time; all were catechists and all except two were from the Diocese of Muyinga. The team were particularly encouraged by a woman who testified to the difference Rooted in Jesus had made to her life over the last year: "A lady who had come last year, and was very diffident at the time, came again this year and was a changed person. She was the first to offer to lead a practice group and was full of life. When, in the first workshop, I asked people for their experiences, she said that when she started to lead a group she was challenged to look at her own conduct. She had been brewing and selling maize beer, and decided at the first meeting that this was incompatible with her new role, so she immediately stopped doing it. This prompted a lot of surprise and consternation in her community and many people were challenged and began to express an interest in the new RinJ group." 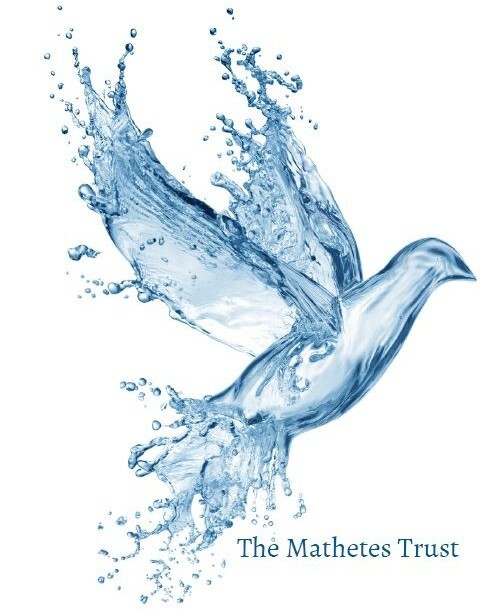 In July 2014 the Diocese hosted a further training conference attended by 78 people - a mix of pastors, evangelists, Mothers Union leaders and Youth leaders from the 13 parishes in the diocese. In May 2016 the diocesan coordinator reported "Parishes managed to have good Rooted in Jesus groups. Now many of those groups are doing book three and four. The groups’ members struggle much with life and are happy to attend weekly group teachings. I thank Lord to them and especially TEN key groups who have completed book four now." The Diocese of Rumonge was created out of the Diocese of Bujumbura in 2013. An introductory Rooted in Jesus conference was held for 100 pastors and catechists from the 6 southern archdeaconries of Bujumbura, the area designated to form the new diocese. In July 2014 the diocese reported that there are 43 RinJ groups with 643 members. 19 of these groups have completed book 1; church leaders have commented on their own growth through the programme, many group members have made commitments of faith, and some of their relations have also given their lives to Christ. In November 2018 a team from the UK and Burundi led a residential RinJ conference for pastors from the Pentecostal FECABu network of churches, which has something like 700 churches in Burundi, the majority of which are growing. 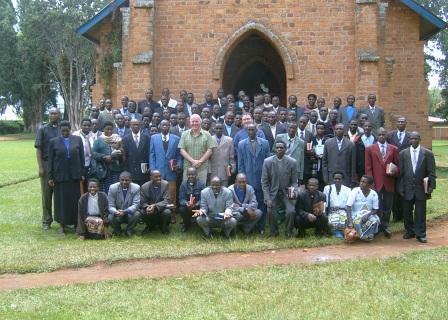 The conference was attended by 50 pastors, representing all the different FECABu districts. The conference went well, with hearty responses at the graduation close, and a local coordinator was appointed.